Harold Baer, Jr., a district judge in the Southern District of New York, passed away yesterday at the age of 81. It is a sad day and a true loss for the bar. I was in an Eastern District Courtroom when another attorney announced the news to the surprised judge, who remarked that Baer "was one of the giants." Reading his bio today, I was struck by the scope of his prior work history and the depressing certainty that his replacement will have a far more narrow background and limited breadth of experience. 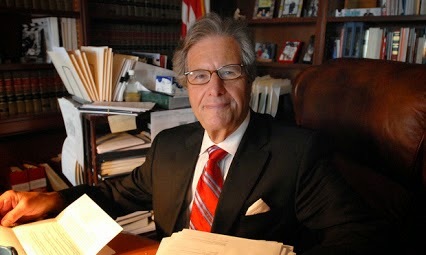 According to the New York Law Journal, Judge Baer was born in 1933 to parents who were both New York University Law School graduates and Liberal Party activists. He was a New Yorker who graduated from Bronx Science H.S., Hobart College, and Yale Law School. He held a wide variety of positions, including on the New York State Commission on the Governmental Operations of the City of New York, the New York State Commission of Investigation, and in private practice. He was a state court judge for years, a federal prosecutor in various roles in the Southern District, the executive director at the Civilian Complaint Review Board, and, for the past 20 years, a federal district judge. He sat on the Mollen Commission, which investigated corruption in the NYPD, and was involved in an array of other matters. In short, as Judge Richard Berman said, he had the street smarts of a state court judge and the skills and expertise to manage more complex federal matters. Most notably, Judge Berman said, "he was a real people person." This was true. I had a smattering of cases before Judge Baer over the years, none of which went to trial, and so my experience with him was highly limited. But what always struck me was his treatment of the lawyers and people before him. His conferences often took place in chambers, where the lawyers and Judge Baer and one or two clerks would sit at a table and talk through the case. There was no hubris, no judicial arrogance, and no condescension. Unless you really deserved it. That is not to say he wouldn't make the occasional sarcastic remark to remind you that your argument was straying or perhaps weaker than you might like to admit, but, he wore the robes well and reflected the commitment to justice in the true sense of the word that one would hope to see in our judiciary. As the federal bench has become increasingly less diverse, I have become used to the idea that new nominees will eventually have a background limited to either corporate work, be it in a large firm or in house, or as a federal prosecutor. This is not meant as a criticism of any particular judge, but rather as a comment on the ever narrowing criteria deemed acceptable in the judicial nominating process. The Senate's shameful rejection in March 2014 of the nomination of Debo Adegbile to head the DOJ's Civil Rights Division is a reminder that any break from the government/corporate mold is viewed as unacceptable leftist activism. But the corporatizing of the federal judiciary is a discussion for another day. Today, we pay our respects to Judge Harold Baer, Jr. He will be missed. I am a principal at the Lumer Law Group, a New York City law firm specializing in civil rights litigation and criminal defense. A more complete bio is here, and I'm happy to provide further info if asked. This blog was started as a place to discuss the practice of law, legal developments, court decisions, and political events in and around the areas of police misconduct, unlawful search and seizure, violations of due process, criminal defense, and so forth. I wander off-topic from time to time, but you get the gist of it. Your feedback is more than welcome. (c) 2014 Michael Lumer. All Rights Reserved. Awesome Inc. theme. Theme images by Jason Morrow. Powered by Blogger.